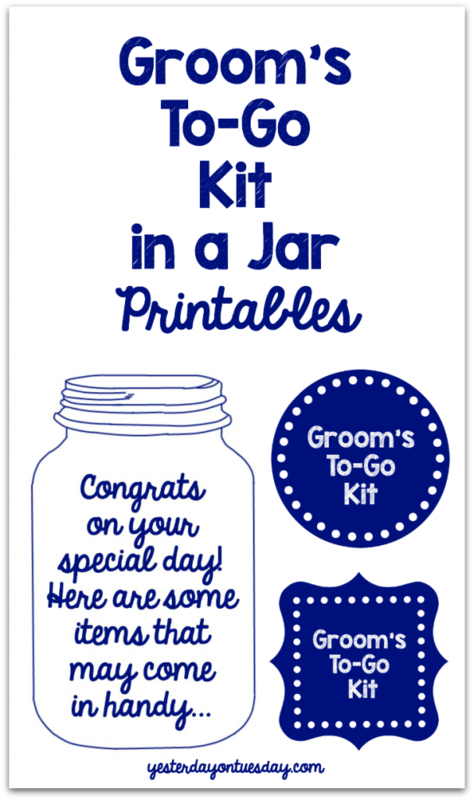 Welcome to the final day of Weddings in a Jar Week! 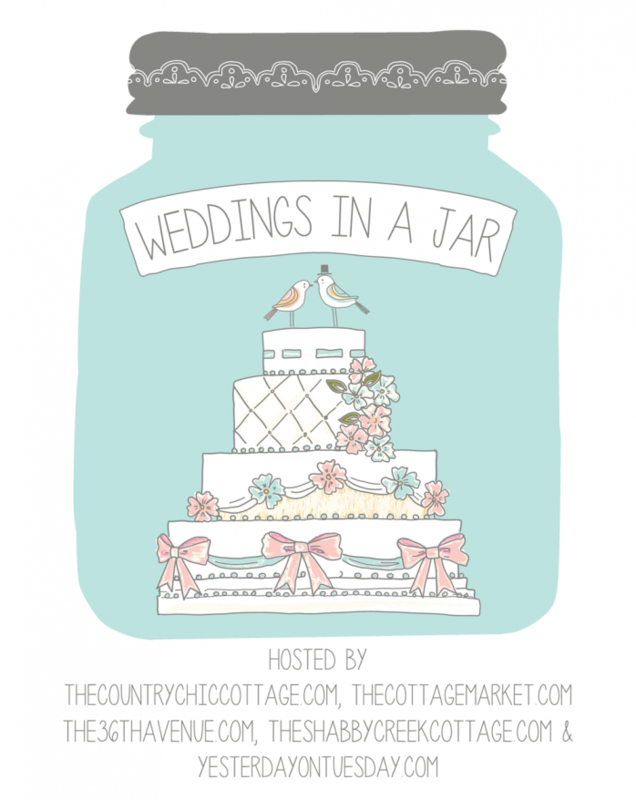 I’ve had a blast sharing some fun Mason Jar themed wedding ideas with Angie from The Country Chic Cottage, Andrea from The Cottage Market, Desiree from The 36th Avenue and Gina from The Shabby Creek Cottage. My project for today is simple and useful. 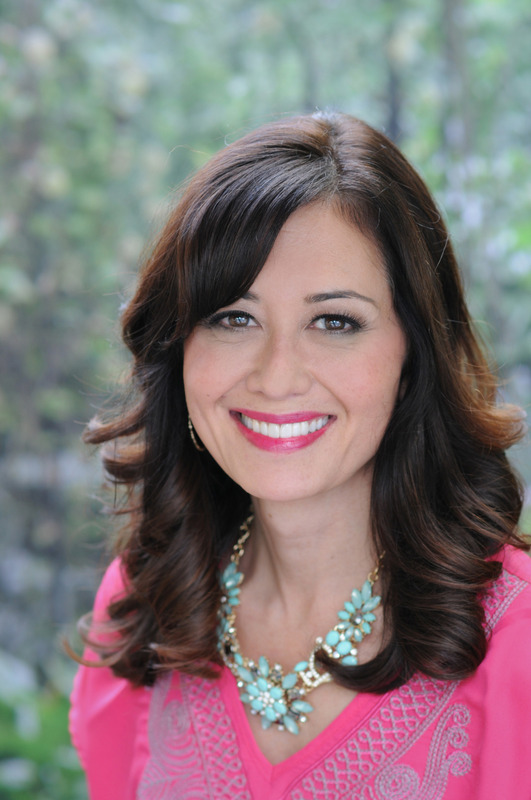 Let’s face it, things can get hectic in the days leading up to a wedding. 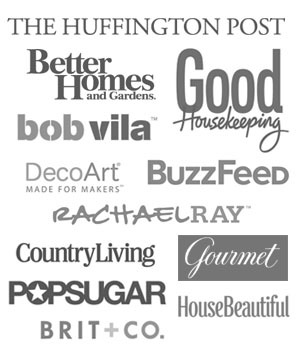 With so many details and people involved, it’s easy to forget a few things. 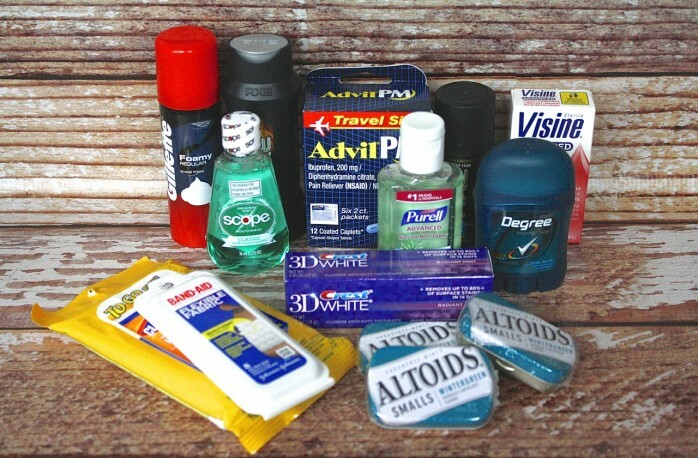 The groom may need a last minute bandaid, a groomsmen may desperately desire some deodorant… and everyone in the wedding party could benefit from a breath mint or two! 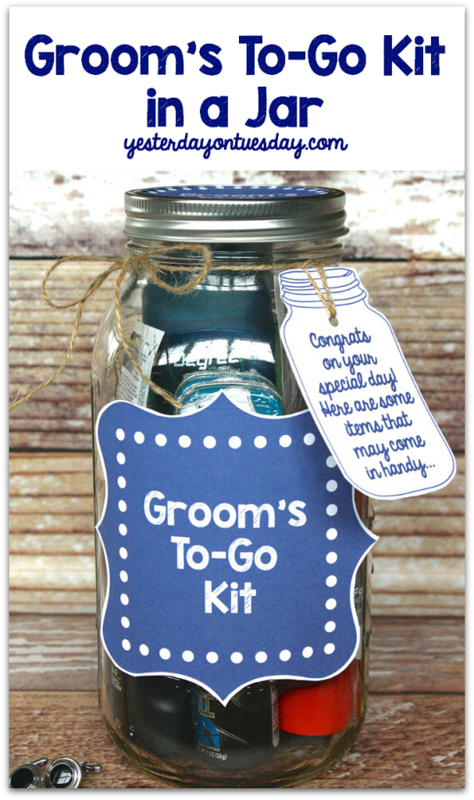 So here’s a cool idea for Groom — a “To-Go” Kit in a Jar. 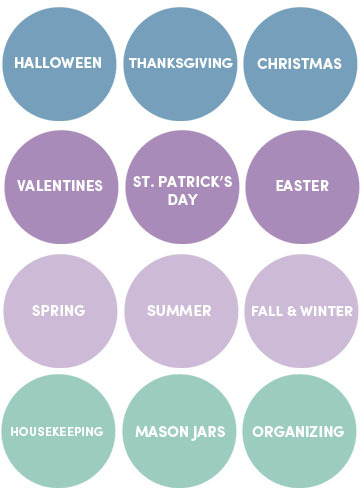 Stop by your local drugstore or Target and stock up on travel sizes of products that would come in handy on “the big day.” Then grab a large Mason Jar and fill it up with those handy items. Give it to the groom to have on hand. 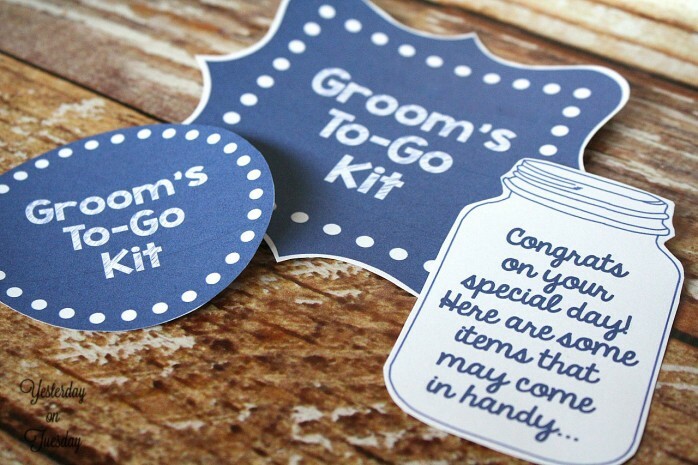 You’ll need a large Mason Jar, travel sized products, white card stock, glue dots, a gold punch, scissors and twine. 2. 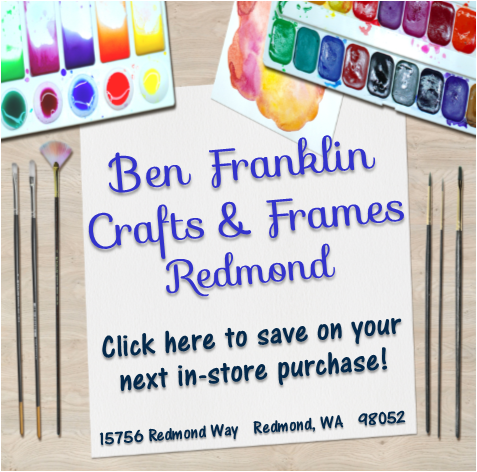 Print and cut out the labels. 3. 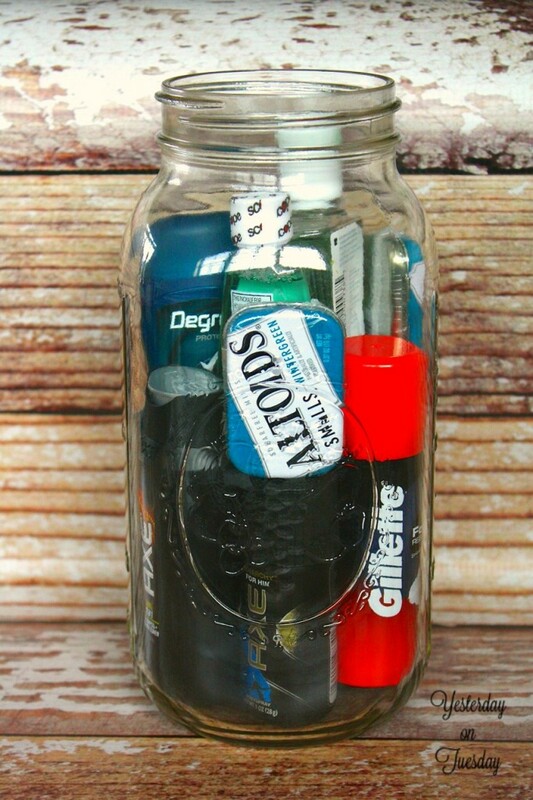 Place items in jar. 4. Add the labels (using glue dots). 5. 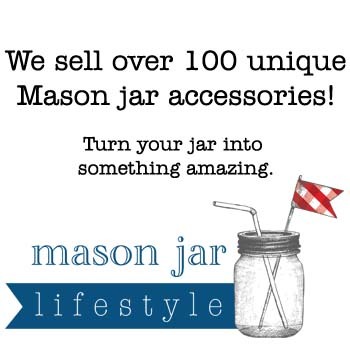 Finally, punch a hole in the Mason Jar tag and tie it around the jar. 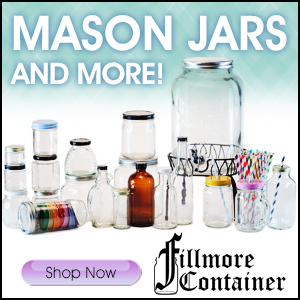 Now the groom can enjoy his A”MASON” day… and if any little emergencies happen– he’ll be ready!